Shelttilaumamme muodostuu tällä hetkellä soopeleista Nepparista, Naksusta, Noomista, Rusinasta, Murusta, Nemosta, Neelasta sekä tricolour-uroksesta Rangerista. Tarkempaa infoa saat kustakin koirasta sen omalta sivulta. 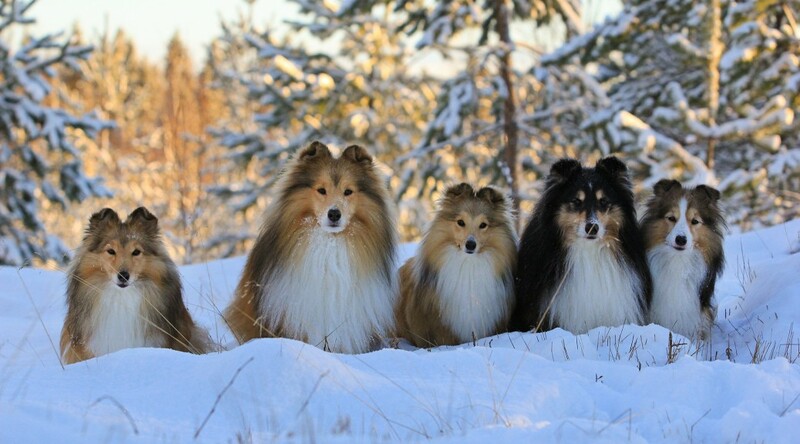 I have eight shelties at this stage. Three males; sables Nacho and Nemo and a tricolour Ranger and five females; sables Neppari and Noomi who are already retired from breeding. Latest additions to our team are Noomi & Ranger’s pups Rusina, sable girl Muru from Golden Rose kennels and Noomi’s daughter Neela from her last litter. You can find more information about my shelties from their own pages.